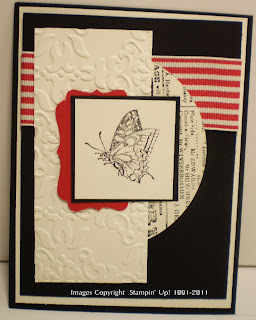 Lily's Ink Pad: What's Black and White and Red All Over? 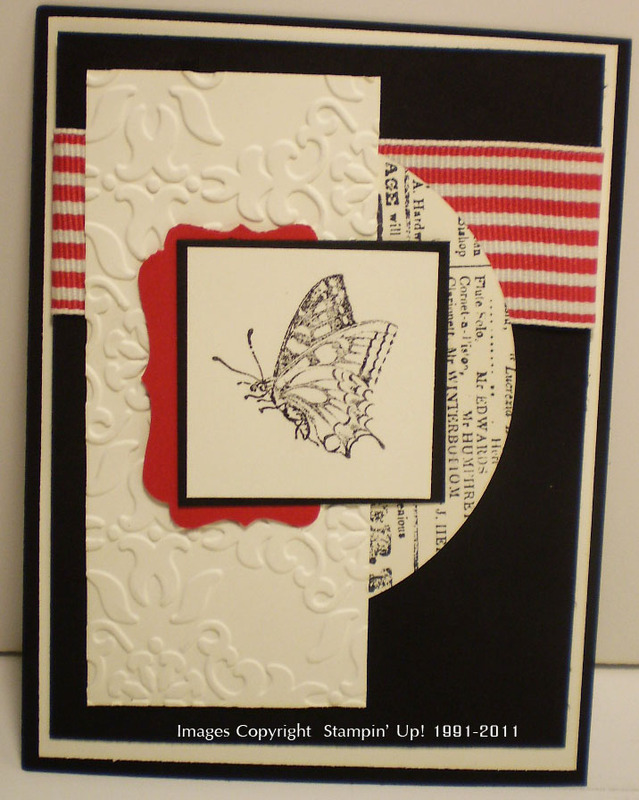 I love this butterfly and wanted a design that would highlight it in an elegant way. I hope I achieved that effect. I swapped this card at Stampin' Up! 's Leadership Conference (which I return home from today), for many great ideas from demonstrators all over the United States and Canada. oooOOOooo, more strong colors! One of my favorite color combinations, too. Very nice! I love this one. The colors are great! And I'm a sucker for newsprint DSP.